We will be sampling a lovely selection of wines, including your summer club fulfillment wines, 2016 Block 9 Cabernet Sauvignon, Wahluke Slope, 2016 Cabernet Franc, Columbia Valley and 2017 Pinot Blanc, Yakima Valley. This is an exclusive tasting and wine pick up event for Heritage Reserve wine club members. Attendees must be 21 and over, four tickets are included with your club membership. Col Solare is a partnership between Chateau Ste. Michelle and Tuscany's Marchesi Antinori. 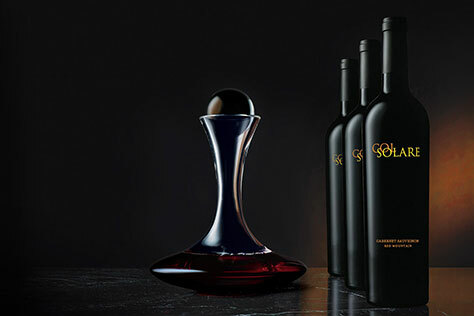 From its inaugural 1995 vintage, Col Solare's mission has been to unite these two unique viticultural and winemaking cultures to produce a world-class Cabernet Sauvignon-based red wine. Experience wines from our Red Mountain Estate and learn about the past, present, and future of Col Solare.